I still can’t believe how easy it is, but I made ricotta cheese. Who would’ve thought! I always buy the stuff but when the March Cheese Please Challenge came along and I saw that ricotta is the Belle of the Cheese Ball in this round, I thought smugly, that’s easy! I use ricotta all the time. Until I read that I had to make it myself……and of course I can’t do THAT, I have no “cheese making things” in my house. 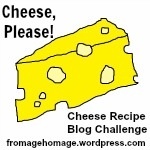 Sulking, I just fast read through the challenge and then saw how easy it is……..Still, there is always a possibility that I can bugger up an easy thing but alas, smooth, smooooothly it went and now you are talking to a cheese maker. A proper ricotta cheesemongermaker person! ( okay, not monger but still…). I do not even have a muslin cloth so I had to borrow one from nowathome. The rest as they say, is history. Of course we shall eat ricotta now in and on everything just because! 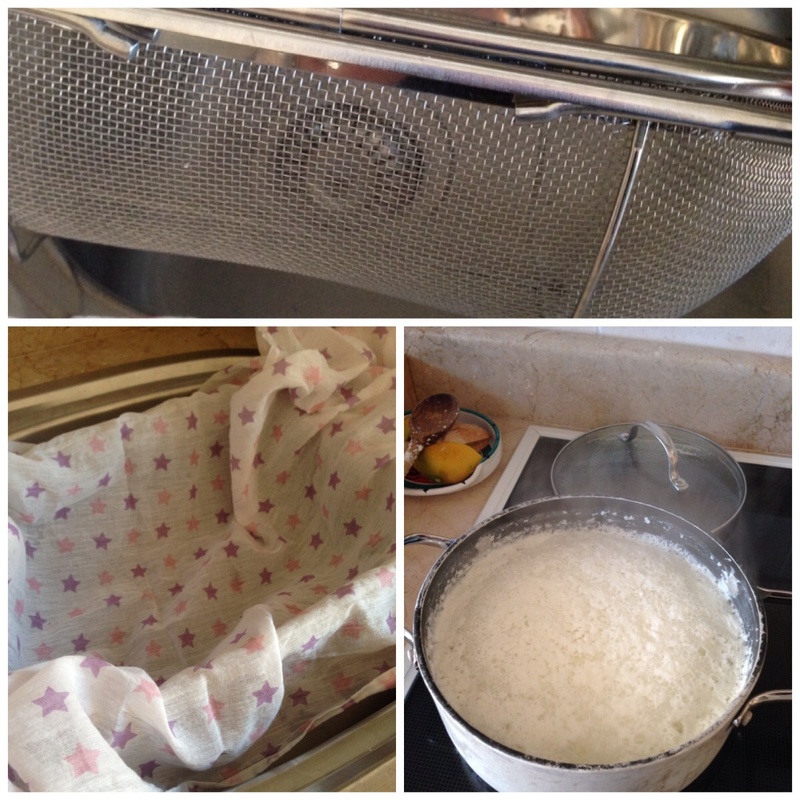 With huge flair (because you are a successful ricotta maker now), gather the family together to watch as you drain the whey in a colander, lined with a borrowed muslin cloth and give or take 15 minutes later, gather the cheese together and lightly squeeze to drain the excess fluid. Seal in an airtight container until use. Huh, WHO would’ve thought?! Remember to go back to the fridge at least three times to stare at your cheese creation in wonder. I shall now change my middle name to ricotta, I am so chuffed! 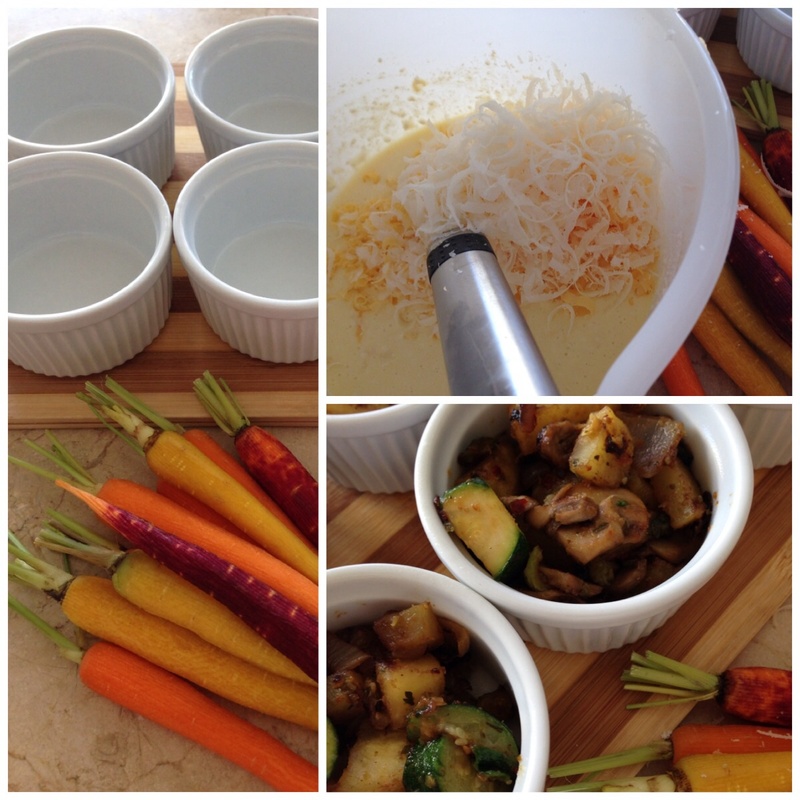 What to do for the veggie pots: Grease ramekins and fill with cooked vegetables of your choice. 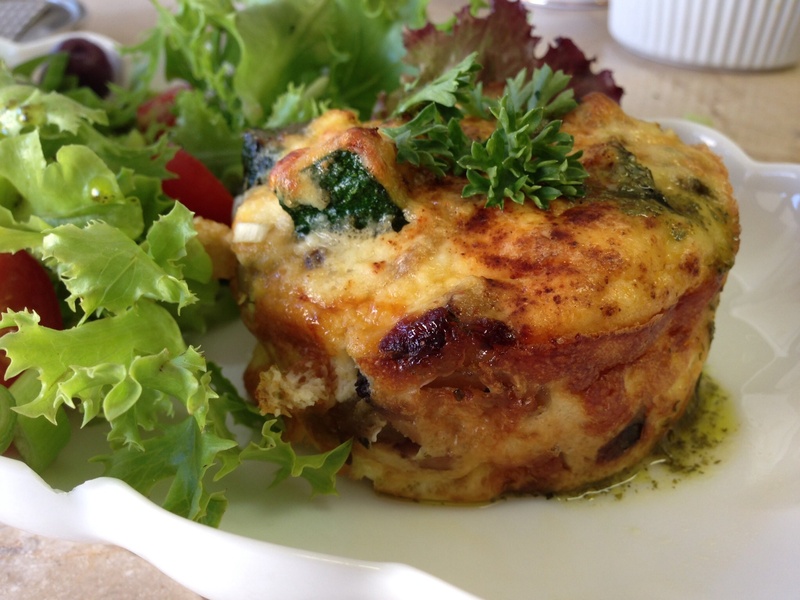 Use 1 cup of ricotta, two eggs, and one cup of cheese mixed together and salted to taste, to pour over the vegetables. Top with more grated cheese and paprika and bake at 180 C until set and golden.It also works well as a quiche filling/for baked spinach tart. On a recent business trip I was offered a room upgrade as the TV (which I don’t watch) and the WIFI (which I do need) did not work in the room I booked. Look what waited for me…….friendly people indeed. I ever so politely accepted their offer. 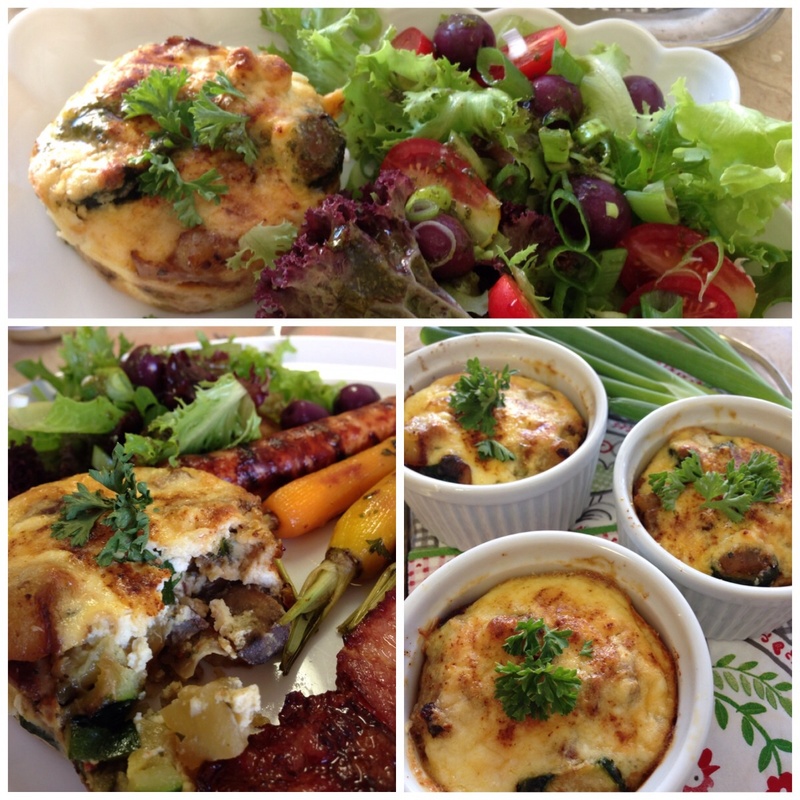 This entry was posted in Recipes, Side dishes and tagged Cheese, how to make ricotta, Ricotta cheese, ricotta cheese dish, ricotta vegetable pots by flippenblog. Bookmark the permalink. Hehehe! So proud at last I have a cheese munger maker person for a friend, so proud of you Elmarie Ricotta! Seriously impressed and thoroughly enjoyed this one! Great idea Ms Ricotta. 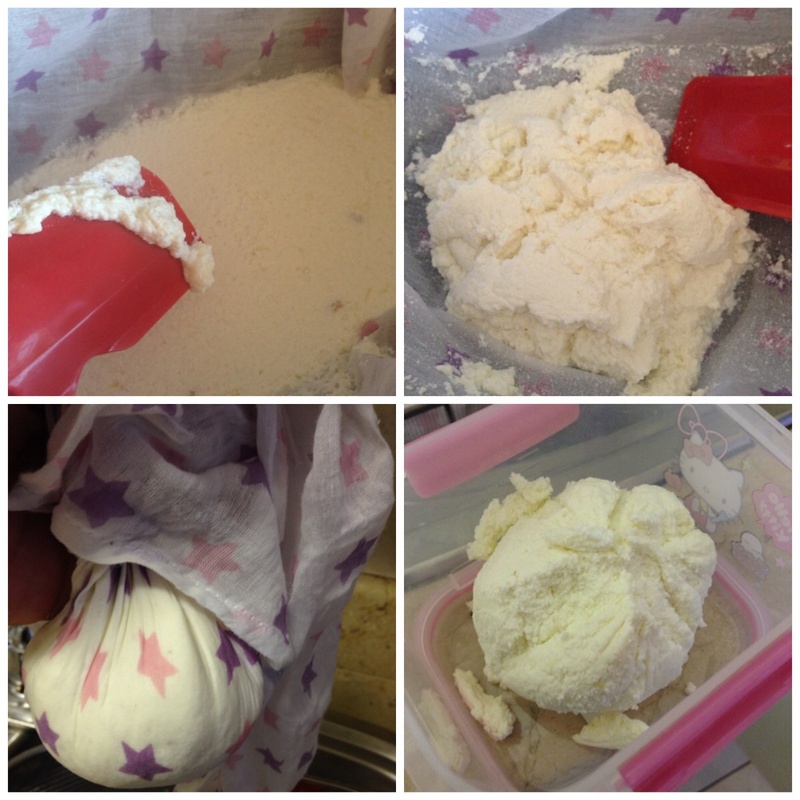 You have now inspired us to do the cheese making thing again! Absolutely wonderful! making ricotta from scratch is on my list of things to do, and I will jump on it once we are back home… these veggie pots are a perfect use for it! 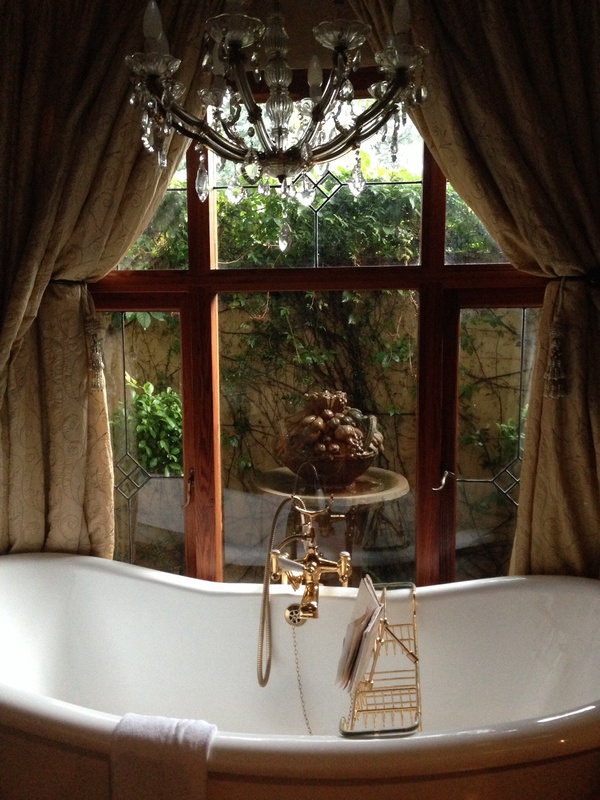 and, what a dream that suite you got! Don’t you love when something nice like that happens unexpectedly? Especially the positive unexpected things yes! Enjoy your trip. Very impressive cheese production – and there’s nothing like a free upgrade! Cheese queen I am! Hell yes, I enjoyed that upgrade. Ha, I stared at my homemade ricotta too while hubby just laughed at me and tried to eat it. Great job on the veggie pots, they look really yummy! Almost did not want to use it was so proud! Loved your recipe too. Well, well Now I have a cheese making sister! Well done!! Loved the pots too! Thanks for the pingback too! Nope, my cheese, my cloth now! Yaaaay! Yes I did it! Thank you so much. I love, love, love ricotta cheese. These little pots look so delectable. Yum! Thanks Fea, yes so many uses for it and very chuffed to get it right! Great challenge I thank you! So chuffed. Impressed with the cheese, the ricotta vegetable pots and the upgrade. Nice job! Loved it, will for sure make more and will miss that upgrade on the next trip. Hope something is out of order again! Your ricotta looks beautiful – so creamy and soft! And what a great way to use it! Thank you. I love the stuff! Gah! Now I have to make ricotta! Beautiful little pots. You will love doing it I know. I hope you do! Thanks for the visit. You’re right, it’s so easy. I think I shall give it a try! Ah, what a nice compliment. Much appreciated. Yes let me tell you, anything with, or on top of or under cheese just does it for me. I absolutely have to try making my own cheese and the meal. Both look delicious. Yum! Go for it! It is so satisfying to do. I tried this and I have to tell you , it’s great! Nice going! Glad you liked it thanks. Ek maak dit baie so dit gaan ook op die lys!